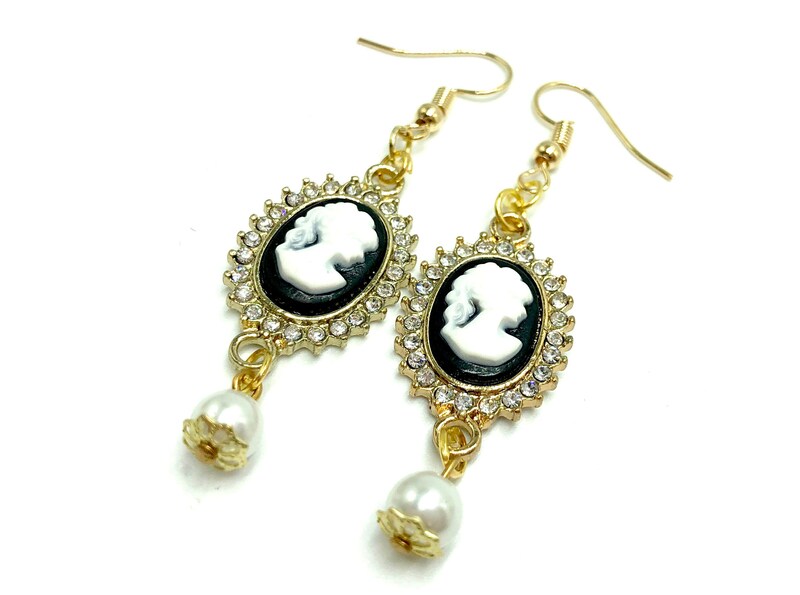 The Cameo earrings are lightweight and comfortable. Lead and nickel free. Metals are copper and stainless steel. Pearl is plastic and vegan friendly.